How to create invoices in Quickbooks plus templates: If the customer pays you at the time of the sale, just use a sales receipt. 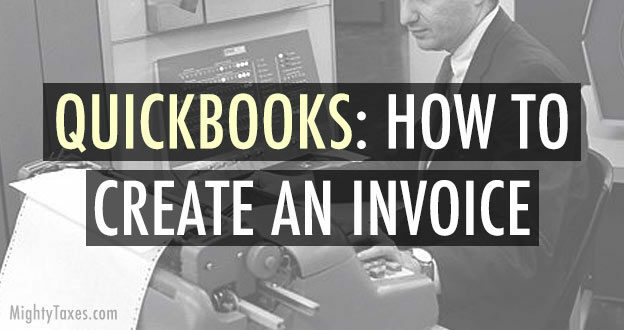 However, if your customer has not yet paid, you’ll want to create and send an invoice. Ok, here we go. Log into your Quickbooks account to get started. Want to see how your customer will see the invoice? Preview your invoice to make sure your it looks good before you send it. If the invoice looks plain, we recommend adding your logo! Tip: Remember to save your work as you create an invoice! How does your invoice look? You can preview it from the “Print or Preview” tab at the bottom of Quickbooks. No one likes to get an impersonal, plain invoice. For this reason, we recommend giving it a little color and style. Besides just adding your logo, you have a number of design options and invoice templates available. Choose the customize tab at the bottom of the Quickbooks interface to get started! Select your logo file from your computer. Choose small, medium, or large size. Tip: At this time you can also change the font used in the invoice. Do you feel that the font you are using is appropriate for your business? You can now change the subject and body of the invoice to anything that you’d like. This is a good chance to make your customers feel appreciated. Tip: No one wants an invoice from a robot! Make sure you say, “thanks” in the invoice, and include a little personalization (if appropriate) when creating a Quickbooks invoice. For example, if you own an online shop or provide services, maybe mention a couple of specifics so they don’t feel like just a number. Did you customize the subject and/or body of the invoice email? If it looks good, you are ready to send your invoice. 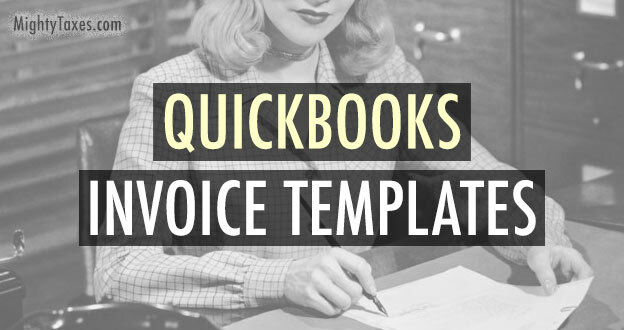 If you already use Quickbooks, you’ll have easy access to free Quickbooks Online invoice templates. If you haven’t signup up yet, you can still use their free tool to create a template. Are you happy with the invoice you created from one of their design templates? If so, you’re ready to send it via email. After you send the invoice, your customer can pay you securely right away by clicking the “pay invoice” button. As soon as they pay the invoice, you’ll see their payment under, “Sales Transactions,” and the money will be credited to your bank account. Tip: Keep in mind that if you accept credit cards, there is a fee of about 3% which will come out of the payment total. For that reason, the amount that hits your bank account will be less than the actual amount in the invoice that you created. That’s all! I hope you found creating an invoice with Quicktime easy, and take advantage of one of their invoice templates. If you like Intuit products, we also have exclusive coupons for Quickbooks Online or Checks, plus Turbo Tax. including their Self-Employed edition. Thanks for reading!